Argo Flare Services has a core management team of four and an Aberdeen based representative. 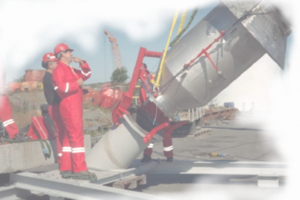 All staff have a longstanding history within the flare and combustion industry, backed up by the shared resources of the well established and financially strong Sterling Industries plc group. Ray Seale, Paul Sharman and Andy Tallentire previously worked for Kaldair as flare specifiers, process and mechanical designers and project managers. Alistair Blest has 20 years experience working for combustion and engineering equipment suppliers. Alistair Arthur is located in Aberdeen to serve our key customer base and has over 30 years experience in the Oil & Gas industry working on projects within multi-disciplined teams delivering new plant, equipment, maintenance and engineering support services, reflecting the philosophy of Argo Flare Services. Contact details as well links to our personal précis are tabulated below.